Shruti Sodhi is known for designing extraordinary residential interiors that speak volumes about your style, taste and class. With her able team by your side, you can rest assured that you will get the interiors just the way you have envisioned them to be. Each texture, pattern and color will be nothing short than a stroke of art. The conceptualization is an exhaustive process at Shruti Sodhi’s interior designing firm to ensure that the final product is in sync with your space. Her team has great attention to detail to other practical aspects of designing interiors so that you have a home which is picture-perfect, inviting and just more than a living space! Furthermore, you can also feel free to ask her friendly team to acquire paintings, antiques, furnishings and other things that accentuate the interior’s appeal. View Shruti Sodhi’s portfolio of expressive residential interior designing work, here. 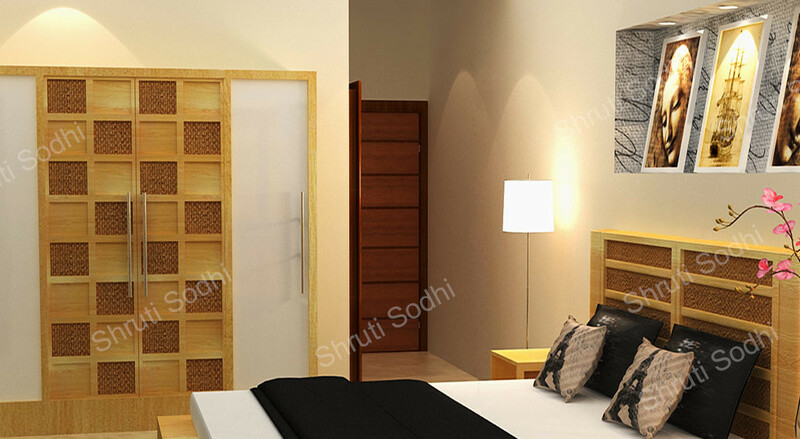 Shruti Sodhi’s offering are not just limited to residential interior designing projects. She has also produced brilliant quintessential designs for commercial spaces as well. 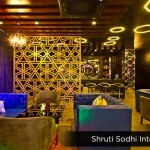 Whether you are looking to give a shape to your start-up’s interiors or wish to revamp the look of your established office, boldness will come to the interiors automatically when Shruti Sodhi’s team is given the responsibility to brainstorm and chalk out a distinctive blueprint for a space. Her designs won’t deviate from the professional decorum/ work culture yet will be strikingly appealing in comparison to other commercial establishments. Commercial spaces like offices, showrooms, spa, lounges, restaurants, hotels, resorts, retail spaces, etc., designed by her ooze positivity and spark creativity. Have a look at some of her masterpieces, here.